In this paper, we present the results of the analysis of the Cova del Sardo flaked stone assemblage, a rock shelter located at 1.790 m a.s.l. in the Central Pyrenees. An integrated analysis of the lithic record, from a petrological, technological, and functional point of view, has been realised. The daily life activities carried out at the site have been reconstructed and a diachronic reading of the data has been finalised. An interpretation in terms of territorial and economic organisation of the prehistoric group is advanced. A mixed farming economy is suggested, even if herding and pasture exploitation could have locally played an important role. The analysis of lithic raw materials indicates that the groups followed a south-north mobility, as most of exploited cherts are from southern sources (Ebro valley and pre-Pyrenean ranges). Finally, the Cova del Sardo is discussed within a broader framework, taking into account the Neolithisation process of the Southern Central Pyrenees. The online version of this article ( https://doi.org/10.1007/s12520-018-0603-0) contains supplementary material, which is available to authorized users. This research is part of the project ‘Modelización de los espacios prehistóricos de montaña. Un SIG del patrimonio arqueológico y los territorios pastoriles (HAR2015-66780-P)’ funded by the Spanish Ministry of Economy and Competitiveness and the European Regional Development Fund and directed by E. Gassiot. We would like to thank the Aigüestortes i Estany de Sant Maurici National Park, all the members of the GAAM “Grup d’Arqueologia de l’Alta Muntanya” (UAB-CSIC) and all the people involved in our research. In addition, we would like to thank the LitoCAT (IMF-CSIC) for their precious help with raw material analysis and classification. 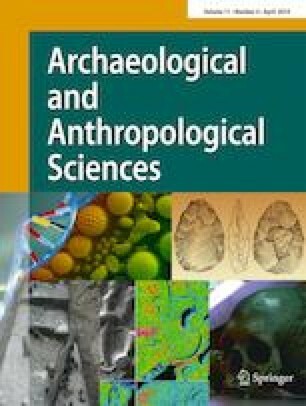 Mazzucco N (2014) The human occupation of the southern central pyrenees in the sixth-third millennia cal BC: a traceological analysis of flaked stone assemblages. Universitat Autònoma de Barcelona. Departament d’Antropologia Social i de Prehistòria, PhD Dissertation, www.tdx.cat/handle/10803/287893. Oms, X., Pedro, M., Morales, J.I., Allué, E., Frigola, J., Meniela, S., Rodríguez Cintas, À., Serra, J., Yubero, M. (2015) La Cova Colomera 30 anys després. Ocupacions humanesentre 6180–3280 BP al Congost de Mont-rebei. Campanyes de 2005-2011. In: Actes de les Primeres Jornades d’Arqueologia i Paleontologia del Pirineu i Aran. Lledia: Arts Gràfiques de la Diputació de Lleida, pp. 116–123. http://hdl.handle.net/10687/119225. Ortega D, Roqué C, Ibáñez J, Beamud E, Larrasoaña JC, Sáez A, Terradas X (2017) The chert from the Castelltallat Formation (south-central Pyrenees): archaeometric characterisation and archaeological implications. Archaeol Anthropol Sci, 1–18. Available online 07 January 2017. https://doi.org/10.1007/s12520-016-0458-1.